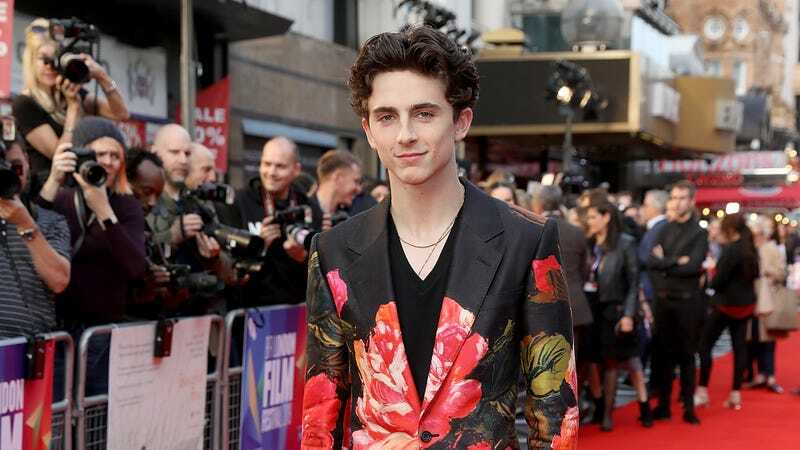 At the U.K. premiere of Beautiful Boy over the weekend, Timothée Chalamet wore a gorgeous floral-print Alexander McQueen suit complete with single-breasted drop shoulder jacket. If you think the fit looks romantic enough to be hung in a museum, you’d be right—the design was literally painted (!?) according to McQueen’s Instagram. More importantly, however, is that this fantastic foray into soft menswear means Chalamet’s slow transformation into American Harry Styles is complete. I welcome Chalamet’s inevitable experimentation with more traditionally feminine styles but until then, wow! Such a Beautiful Boy, indeed.